Close Out Sale Up To 50% off! Sale Discount Price applied and as listed to each product in this section & page, No Other Discounts or Coupon Codes Apply. 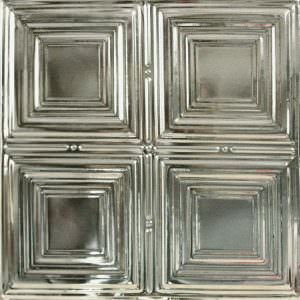 Metal Ceiling Tiles No Discount Apply To These Products Lead Time Estimated 14 to 21 Working Days. 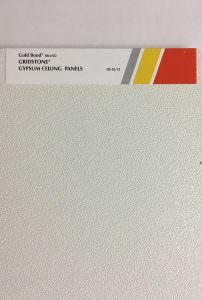 Gold Bond® BRAND Gridstone® prefinished ceiling panels have a non-combustible, Fire-Shield G gypsum core. The 2-mil. 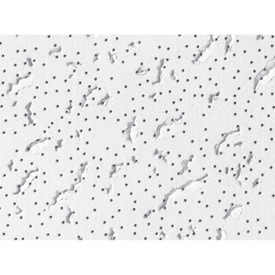 white, stipple-textured vinyl laminate combines high light reflectance with easy cleanability. MINIMUM PURCHASE OF 10 CARTONS. Due to Size, Weight & Geographical Price Variance of this product item, we reserve the right to Quote the product price, shipping & handling to all geographical areas. Product cannot be shipped direct to customer location without prior quotation & agreement separate of this website listing. Please call 888-612-7573 or e-mail request for quote to [email protected] to obtain product price shipping & handling quotation. 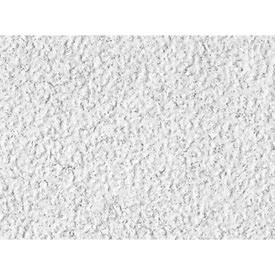 SKU: 001082 Categories: CEILING TILES ALL TYPES, Drop In Commercial Washable Ceiling Tiles, Commercial Kitchen Ceiling Tiles. Gridstone panels are ideal for interior and unexposed exterior ceiling applications such as soffits, parking garages, kitchens and baths. Gridstone panels are accepted by the USDA for use in food service and food processing areas. Available in either 2′ x 2′ 0r 2′ x 4′ sizes. Sold in Cartons only with 2′ x 2′ Cartons containing 4 Tiles covering 16 SF per Carton & 2′ x 4′ Carton containing 4 tiles covering 16 SF per Carton. Quick, dry installation. 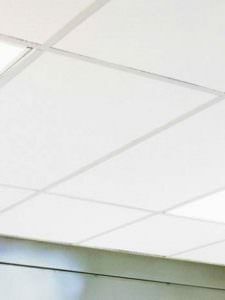 Gridstone Ceiling Panels install easily in standard exposed grid systems. Fire-resistant. 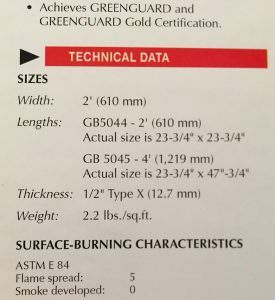 A non-combustible gypsum core assures fire safety with 1 1/2- and 2-hour fire rating achievable depending on installation. Pre-decorated. 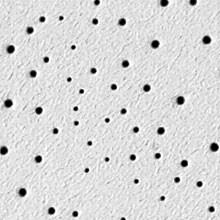 The sturdy white vinyl laminate eliminates additional finishing. The product shall be maintained at a temperature not to exceed 104° Fahrenheit (40° Centigrade) and not exceed 90% relative humidity prior to, during and after installation.